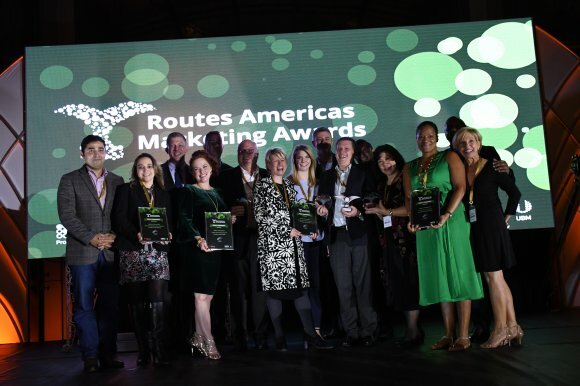 In the first of a two-part feature, Routesonline takes a closer look at the airports shortlisted in two categories of the Routes Americas 2019 Marketing Awards. This week, we profile the airports shortlisted in the Under 4 Million and the 4-20 Million Passengers categories. Queen Beatrix International Airport (AUA) is one of the busiest airports in the Caribbean region, with 29 different airlines contributing to the airport handling more than 2.5 million passengers per year. AUA has services to 31 destinations, with 71 percent of passengers from the US and Canada, 16 percent from Latin America and 7 percent are from Europe. 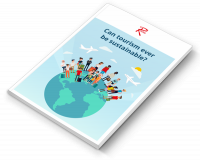 In 2019, overall seat capacity is expected to increase with 4.8 percent year-on-year compared to 2018. AUA’s highlight of 2018 was the announcement of two new American Airlines direct services from Dallas/FortWorth International Airport and Chicago O’Hare International Airport. Located on Toronto Island, Billy Bishop Toronto City Airport (YTZ) offers service to more than 20 cities in Canada and the US. The airport enjoyed its busiest summer on record last year with 817,171 passengers arriving and departing through the airport from June to August 2018. Both Porter Airlines and Air Canada contributed to the high passenger numbers, which were a combination of leisure and business travellers. A major accomplishment in 2018 was the completion of its airport expansion project which commenced in 2014. Curacao International Airport’s (CUR) new facilities can now accommodate up to 2.5 million passenger movements annually. The airport’s efforts during the year focused primarily on retention of its route network closing the passenger traffic gap caused by financial issues at Insel Air and the subsequent restructuring of its regional and domestic route network. CUR ended the year with an increase of 3 percent in aircraft movements and 11 percent in passenger traffic compared with 2017. Foz do Iguaçu International Airport (IGU) grew passenger numbers by 23 percent in 2017 and followed it up with 7 percent growth last year, despite Brazil's economic troubles. Key developments have included the completion of a $10m terminal upgrade project, while its runway is set to be expanded to 3,000 metres long, opening up the potential for new international routes. Cargo traffic is also on the rise. Since 2015, passenger activity at Greenville-Spartanburg International Airport (GSP) has increased by 18.5 percent with nearly 9 percent of that growth occurring in 2018 alone. During the past year, five of the airport’s six airlines introduced enhanced service which included new non-stop destinations, increased frequency or aircraft upgrades. Marketing activity has included free parking for passengers travelling on Delta Air Lines’ new flights to New York-LGA, while it recently partnered with the Las Vegas Convention and Visitors Authority and Frontier Airlines to giveaway free trips. Brasilia International Airport’s (BSB) core strength is its role as a connecting hub for domestic an international traffic. In recently worked with Brazilian authorities to guarantee tax incentives for aviation fuel, thereby dramatically decreasing operation costs for airline partners. As a result of these efforts, many international routes are now becoming financially viable, including GOL’s new routes to Miami, Orlando, Buenos Aires and Cancun. The incentives, which came into effect on 1 January 2019, also apply to domestic and codeshare operations. In 2018 Buenos Aires Ezeiza International Airport (EZE) launched several incentive programs to boost new routes or increase flight frequency for existing destinations. The results were impressive and have helped to secure a string of new routes, including Norwegian’s flights to London, Air Canada’s service to Toronto and American Airlines to Los Angeles. Other marketing efforts comprised a safety exhibition with United Airlines and ‘first experiences’ days that invited children from rural schools to tour the airport and board an aircraft, often for the first time. Cartagena’s Rafael Nunez International Airport (CTG) hit the five million passenger milestone in 2018 - a feat celebrated with the five millionth passenger winning five million pesos - during a year when five new routes were opened. They were to San Salvador and Orlando internationally and Cali, Monteria and Bucaramanga domestically. Marketing efforts included scheduled airline missions to the US, Europe and South America, which were in collaboration with other stakeholders, to help promote the city as a trade and investment destination. That effort was boosted thanks to Hollywood actor Will Smith, who filmed a music video about his love for Cartagena after shooting a movie there. During 2018 Guadalajara International Airport (GAP) enjoyed traffic growth of 1.5 million passengers, equivalent to 12 percent additional traffic from 2017. This was despite a number of challenges, including the largest terminal refurbishment in its history. A total of 13 new routes were secured (eight domestic and five international), with more than $10m invested in its air service development efforts. Oakland International Airport’s (OAK) highlights in 2018 included a record ten new destinations and 14 new routes started. Southwest Airlines added five year-round routes, while new air carrier Contour Airlines added two destinations. OAK ended 2018 with 13.6 million total passengers, up 4 percent year-on-year. During the year, it provided more than $5m in support in the form of waived fees and cooperative marketing funds for the new routes. Other activities included developing a bespoke 30-minute TV show on CBS TV San Francisco in support of new air service to Rome by Norwegian, Orlando and San Antonio by Southwest and Lihue by Hawaiian Airlines.